The term ‘big data’ may sound hyped but there’s a good reason for that. Big data is a marketer’s goldmine, able to pinpoint and understand target audiences with an accuracy and level of detail unimaginable less than a decade ago. There’s a difference, however, between ‘having’ data and ‘using’ it to your advantage. Stockpiling more records isn’t the answer to better marketing; data science is. That’s the practice of transforming existing data into meaningful insights that businesses can instantly use for decision-making. Ultimately, data science can be used to enhance multiple areas of marketing including SEO, content marketing, customer responsiveness and engagement, and real-time marketing campaigns. It’s no longer a question whether you should put the accumulated data to use; it’s a question of how you will do that. In this guide, we show you three great use cases of data science in marketing. Companies of all sizes and shapes now rush to collect on-site consumer data. However, most of them remain clueless when it comes to exact consumer intentions. Think for a moment how you choose a new book to buy. A friend posted a review on Facebook gushing about that new bestseller by J.K. Rowling. Of course, it can’t be better than Harry Potter… but you still copy the title and check out the plot on Wikipedia. Afterwards, you check the book on Amazon, but before purchasing you decide to read a few more reviews on GoodReads.com. Eventually, you buy the book via your Amazon Kindle, not the laptop. Multiple analytics tools enable tracking of such scattered consumer activity online and allow you to accumulate an array of information about the customer’s interest and activities. The information is saved in your ‘user profile’ by the search engine and all the other websites you have visited. 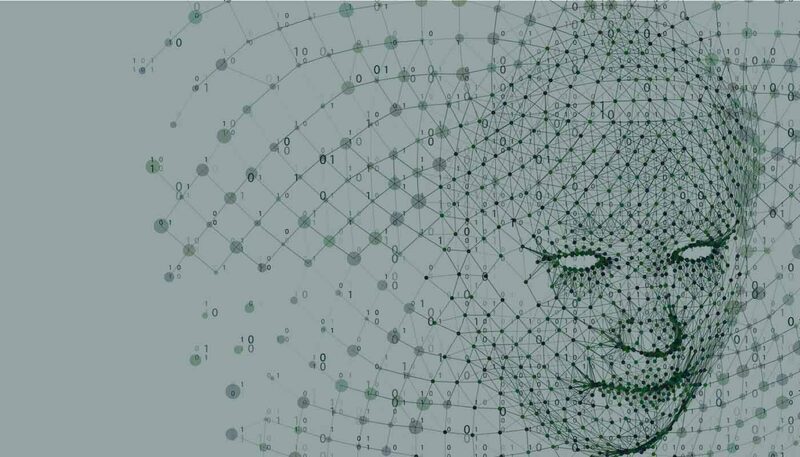 However, despite storing a plethora of data about individual consumers, using it to predict future behaviours remains a challenge. How likely is it that you will visit Amazon next time to purchase another detective book and not a different product altogether? 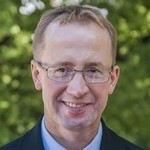 Prof. Michael Trusov from the University of Maryland has made a successful attempt to develop a comprehensive model, capable of analysing and grouping various user activities online and using that data for paid advertising campaigns. Website visitation intensity – the activeness of the user during the surfing session and its correlation with roles. This metric is used to estimate how engaged a user becomes when conducting certain activities. 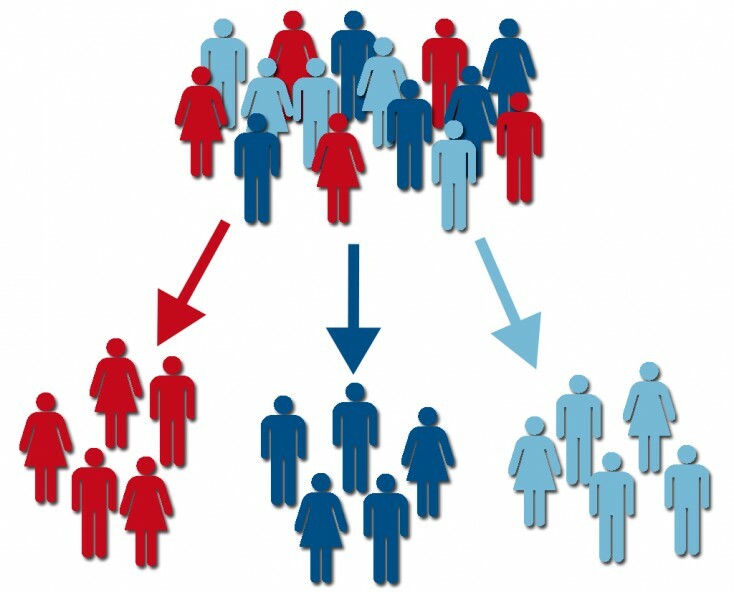 Consumer demographics – general data available about the user that enables richer descriptions of consumer profiles. The evolution of roles over time – a factor indicating changes in the user’s website visitation tendencies. After churning all the data, the team could uncover salient behavioural patterns among users and assign respective roles to them. For instance, in one role a consumer visits mainly entertainment websites, services and games. Hence, the algorithm assigns the alias ‘entertainer’ to that person. Think about how we interact with the Internet. First, we have a certain urge – say to check out what our friends are up to lately. According to the developed algorithm classification our assigned role would be ‘connector’. Next, we decide what website we’ll head to get that information e.g. Facebook or Instagram. We spend some time there, before we decide to get productive and hop on to reading some financial news. Our role changes and we become a ‘professional’. This kind of advanced segmentation and profiling allows marketers to drastically improve their display ad campaigns even when limited user data is available. You can target only consumers in the right roles (e.g. a career person) when their online intentions align with your offering. One agency is paying $2.80 per thousand ad impressions and receives an average CTR of 0.5%. The cost of generating one click to their client’s website is $0.56 and they are charging the client $0.67 per website visit. Their daily budget is $1,000, which equates to 1,786 visits per day with the indicated CTR of 0.5%. The company already uses a certain model to weed out the top 30% most active users based on their online behavioural profiles. The click-through probability for them is 25% – higher than the average. For the remaining 70% of targeted users, the CTR is 11% lower than average. These numbers were chosen to depict the average 0.5% CTA. Now let’s see what happens when this agency applies a more advanced user-profiling algorithm and is able to distinguish and target top users in the respective roles. The agency could identify 42% of more active users and increase CTR to 0.52%-0.54% depending on their data. The increased CTA will generate a 25%-51% profit improvement, while still charging $0.67/per visit. Both display advertising and PPC campaigns can be largely improved with similar models. 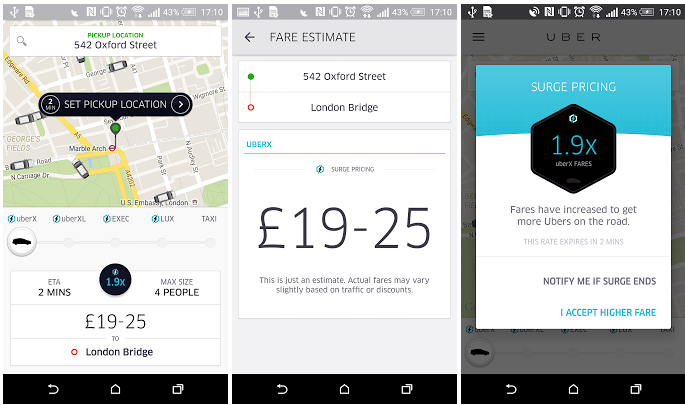 Price surges on Uber may be frustrating when you try to hail a cab during rush hour, however, it has a massively positive effect on the company’s profits. In fact, price management initiatives tend to increase business margins by 2%-7% over a 12-month period and result in a 200-350% ROI. E-commerce companies, in particular, can benefit from data-driven price development. McKinsey estimates that standard products generate 75% of an average company’s revenue. For larger companies, those equal hundreds or even thousands of items. You can take into account the often overlooked factors such as the broader economic situation (e.g. currency strength, global supply etc), individual customer preferences and their past history with your brand, and past sales-representative negotiations. You can then identify exactly what drives the prices and the consumer’s willingness-to-buy for each product and customer segment. Uncover hidden behavioural patterns and correlations between discounts and product sales within narrow customer segments and match that with historical transaction data. You will then be able to adjust your strategy accordingly and propose the best offers to those prospects who will take immediate action. Deploy advanced modelling scenarios highlighting costly mistakes and missed opportunities. For instance, get notified when a certain price change may have a negative impact on demand. Sales teams can be empowered with new data showing exactly how a certain discount will impact the deal profitability and probability. Your pricing strategy becomes more agile and adapts quickly to global market trends and conditions, plus matches the top competitors’ offers. Not every prospect coming your way will become your customer. Being able to separate the most willing prospects from the rest and prioritise all incoming leads based on their likelihood to buy can increase your sales department performance, and ultimately, revenue. Data science enables you to ‘let the garden weed itself’ in this case. You can create a predictive lead scoring system – an algorithm capable of calculating the probability of conversion and segmenting your lead list into the following categories: eager customers, curious prospects requiring further nurturing and the not-going-to-buy-any-time-soon crowd. 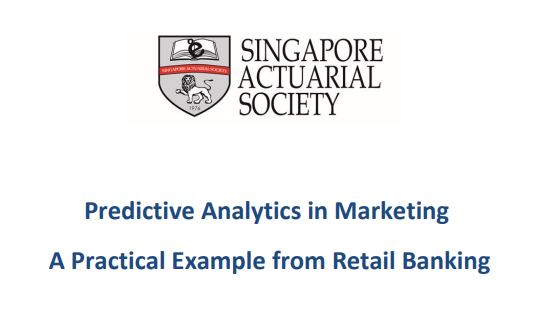 Singapore Actuarial Society has recently published a research note showcasing how predictive lead scoring can impact sales numbers and marketing costs. The bank needed to contact over 200,000 customers. The cost of a single cold call is $5 and the total activity budget was set at $1 million. One successful call could generate a $100 profit. The historical data suggested that cold calling 100,000 customers results in 10,000 sales or $0.5 million in profit, after deducting the telemarketing costs. So that’s their minimal goal. The bank can choose to cold call only ‘warm prospects’ – 100,000 total – and close 80% of sales. That’s $1.1 million in profit after deducting the telemarketing costs. Or they can call only 55,000 customers and still generate $10,000 sales while spending just $0.28 million on marketing – nearly twice less than planned. The same approach can be applied towards scoring online leads accumulated from PPC campaigns, content marketing and SEO. Each new prospect could be qualified automatically and the algorithm can then predict the most profitable actions to take. While 68% of B2B companies do lead scoring, only 40% of sales people agree that lead scoring adds value. In most cases, the job is done manually, meaning that only a slice of the company’s recent sales history is analysed; the data remains prone to human bias as both marketers and sales teams often make assumptions based on their gut and/or experience, rather than data in a pure form. Enlisting an algorithm to perform the same tasks means that you become capable of analysing a broader range of customer on-site activities, behavioural data and social cues. All the accumulated data is then processed to develop a specific combination of behaviours associated with promising leads. Better leads mean higher conversions. Lauren Jones, in charge of the global campaigns at Dell, has mentioned that purchase-stage opportunities scored with predictive algorithms converted at 50%, while non-scored converted at only 17%. Most businesses don’t act fast enough on their leads. On average, it takes 46 hours and 53 minutes for a company to respond to a lead. In most cases, these huge delays happen simply because the salespeople have no idea that a dream client is knocking on their door. A predictive lead scoring algorithm can be adjusted to notify your team once there is a prospect falling into the top 15% of your database so that they can act immediately. We’ve been using data science to improve the efficiency of our customers’ search campaigns for a while now and it’s helping us discover fantastic opportunities. If you’d like to find out more, call our search experts on 02392 830281 or submit your details here.